It’s like walking in a giant terrarium. The place. 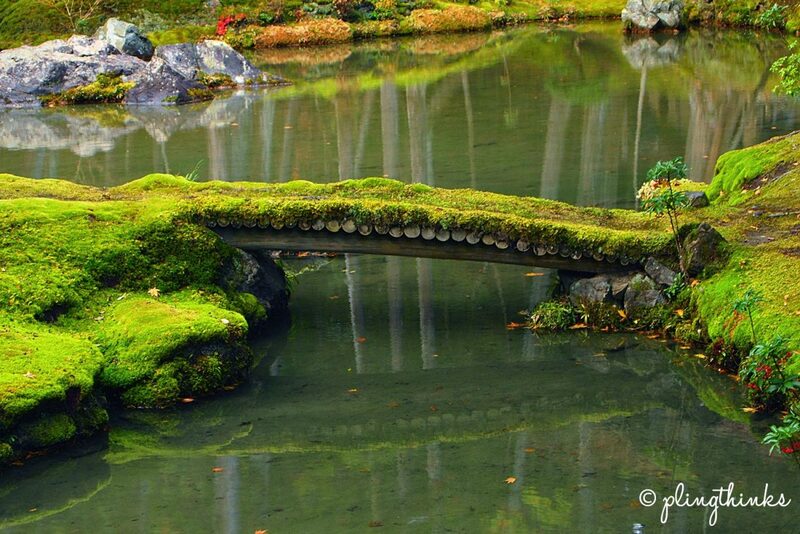 A temple garden with thousands of moss varieties. A UNESCO World Heritage Site, Saihōji (西芳寺) or Kokedera (苔寺) is magical, out-of-this-world, surreal, and an ancient treasure. With such superlatives for this Kyoto site, you don’t see as much content or information out there as compared to say, Kiyomizudera or Gion. It’s not easy to get there. Not the usual tourist routes, there are buses to Kokedera but no trains. You have to make a reservation with a return postcard at least 2 months (depending on how fast your postal service is) prior to your intended visit. Advance planning is required, of which many didn’t get a chance to do for their travels. There are only 1 stipulated visiting time each day. The time of visit varies and is decided by the temple. It has been said that latecomers do not get to enter and are shut outside the door. You know how traveling tends to get when you’re in a foreign land and unfamiliar with public transport. Before you get to visit the moss garden itself, one has to sit at a low desk and copy out sutras in complex kanji with a calligraphy ink pen for about an hour. For those literate in Mandarin, it’s like our preschool books where we trace out the strokes as indicated by the dotted lines. For those illiterate in Mandarin, do not worry. Just think of it as tracing and coloring in those dotted lines. The relatively high entry fees as compared to other temples or shrines. Despite all these, it’s well worth the hassle & time to visit Kokedera. In fact, it’s hard to describe the experience outside of the actual experience within the grounds. No. There will be no space warps or out-of-body experience. But, there is magic. And there is a garden of great antiquity. For those undeterred. Read on. With 1 visiting time per day (sometimes 2, depending on the temple), there’s a limit to the number of visitors. To visit the temple and its famed moss garden, you have to apply in writing with 1 letter and a prepaid return postcard. The Temple says the application has to reach them 3 weeks before your visit. But, to err on the side of caution, I recommend sending them out way earlier to buffer for the varying postal processing time on both ends. I sent mine out 1 – 1.5 months before my departure date. After 2 weeks, the postcard arrived, stating the date & time of your visit. There’s a reminder of the entry fees per person and the address. Both visiting times – one for my visit, and the other for my other friend – happened at 1pm. Arrive on time or earlier if you must. We can’t stress this enough. The Japanese are super punctual, Japanese monks as well. You’ll be shut outside the gates if you’re late. Click for directions on how to get there. Wait outside the closed gate. When the clock strikes, the gates will open to allow entry. Upon entry, present your postcard from Saihōji, pay ¥3,000 per person and you’ll be led into a tatami room (yes, shoes off) with rows of low desks and cushions. Before you’re given entry into their famed moss garden, you’ll be asked to observe the temple’s rituals – the chanting and copying of sutras. A monk leads the sutra chanting as you sit on your knees. Well, that was a challenge for us – non-Japanese, bad knees and all. After a while, we were sitting cross-legged instead. After the chanting, you receive the paper to start copying the sutra, writing down your name and address on the side. We understood that the monks will pray over these. On the paper, outlined with dotted lines, follow the strokes of the complex kanji with the calligraphy ink pen provided. After 30-60 minutes, when you’ve completed the copying, take your paper and place it at the altar before you exit for the garden. You can freely roam the mesmeric garden, replete with moss of the softest, greenest, and most varied kinds. The path is lined with rope to designate the out-of-bounds areas. A good traveler is always respectful of nature and boundaries, so please keep within the stone path to admire the moss garden. By now, you’d have wondered how this temple garden came to be so wondrous. Long story short, it fell into disrepair after 2 floods for more than 100 years due to lack of funds to maintain it. The moss naturally grew and blossomed, and is now being cared for. The centerpiece of the moss garden, a pond sited within this grove called the Golden Pond or ōgonchi (黄金池), captivated us. It’s linked via little wooden bridges, overgrown with moss (see the 1st 3 pictures at the top). This centerpiece is surrounded by 3 smaller islands, and with the encircling pond, gives the shape of the character 心, which means heart. I wished we had a drone to capture a bird’s eye view. The beauty of undulating moss underneath trees. It was hard not to be captivated by the soft carpet of green moss underneath all these trees, freshly drenched in a light rain before. We can just imagine hours spent here in contemplation and meditation. As we visited during the gorgeous autumn season, we enjoyed some photographic perks – the reds, oranges & yellows against rich, luscious greens, and this chōzuya or temizuya (手水舎) bedecked with fallen Japanese maple leaves. Moss, babbling brook & Japanese maple leaves. Music to the ears and eyes! Just when you thought you’ve reached the end of the walk, you might see this little door near the stone pebble path (pictured above). A lot of the visitors left. But there’s more beyond this door. Head upwards for a different vantage point. Beauty, as well, on higher ground. Be careful when you’re going down the stone stairs. They can get real slippery after rain. We had to hold onto the handrails made from bamboo. As it neared the close of the day, the sun was beginning to set, casting long shadows between tree trunks and sending sparkles of light through. Another moment. For terrarium- and moss-lovers like us, we left Saihōji hypnotized and enraptured. At some point, we thought Totoro might just pop out to stare at us intruders into the magical world. It leaves us inspired. I even made a terrarium, and designed & handcrafted a whole collection of necklaces, STORY DOMES. pling thinks…if you have a love for moss, botany, terrariums & Totoro, you mustn’t leave out Saihōji in your itinerary. Our hands were cold & stiff from clicking away at our cameras. We took respite in this small café called 緑翠庵 喫茶店 right in front of Saihōji to warm up our bodies with bowls of zenzai (ぜんざい or sweet red bean soup with toasted mochi), hot tea and coffee. A nice elderly lady was manning this café with a beautiful backyard garden when we were there and she was such a blessing! From Kyoto Station, take Kyoto Bus 73 or 83 for about an hour. If you’re in Arashiyama, you can also catch Kyoto Bus 63 or 73 from the Arashiyama Station (Hankyu). This bus ride is not covered under the ¥500 day pass. Alight at Kokedera Suzumushidera (苔寺 鈴虫寺) Bus Stop.